Nikki Jones is a freelance reasearcher and writer on global and UK energy. She will be giving a series of talks in Redland in March on climate change and energy, organised by the BCR Energy Group. Tuesday 5th March – Where Are We With Climate Change? Tuesday 19th March – Is Nuclear the Answer? Tuesday 9th April – Discussion: Does local / individual action matter? Some may remember Nikki talked about some of these topics a few years ago in Redland, but she has fully revised her very well researched and detailed talks to bring them up to date with the latest evidence. The C.H.E.E.S.E. Project is a Bristol-based not-for-profit community enterprise that aims to reduce domestic energy losses, at low cost. 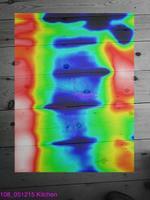 Some people reading this may already have had a thermal imaging survey of their home carried out by them. If not, now is the time to consider one to reduce your energy consumption, keep warmer, save money and contribute to Bristol’s most recent climate change commitments. Surveys can only be carried out in the colder months. The C.H.E.E.S.E. Project has been presented with a Carbon Saving Award by Community Energy England / Community Energy Wales as “the community group which has undertaken the most inspiring energy conservation and/or management project” of the year (see https://communityenergyengland.org/news/community-energy-awards). 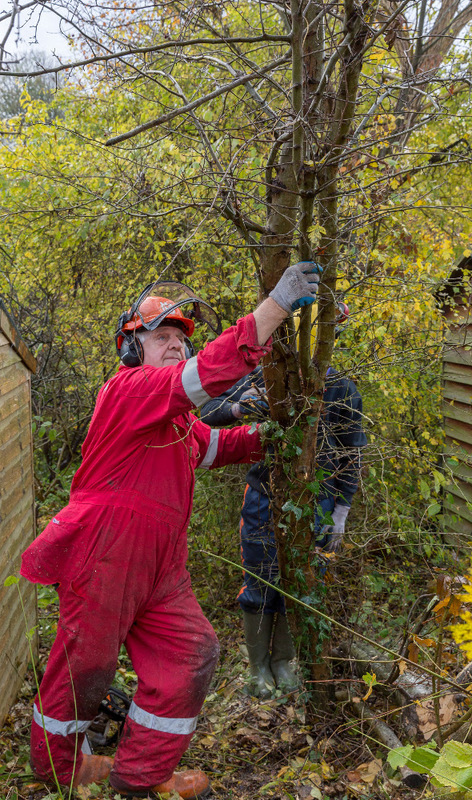 The survey’s unique method identifies draughts and cold spots, many of which you won’t be aware of, and suggests how to take remedial action. Surveys cost £75-£150, depending on the size of your house or flat, but are free for low income households, and take 2-3 hours. You will be given a memory stick with a recording of the survey (audio and visual images) so you have a record of the findings and the remedial advice given. You can also borrow an energy box containing energy monitors and an Eco-house manual. More information, testimonials and how to apply can be found at https://cheeseproject.co.uk/. This report has been sent by Vassili Papastavrou from the mid-Atlantic. I have been at sea since March helping to bring the research vessel Song of the Whale back from South Georgia after studying southern right whales with British Antarctic survey. I joined the boat in Montevideo and we are taking the boat to Portugal. Our longest passage was twenty-one days, between Salvador and the Cape Verdes and now we are in the mid-Atlantic just south of the Azores. This morning we saw two killer whales, which took a very brief interest in the boat before resuming their fishing. 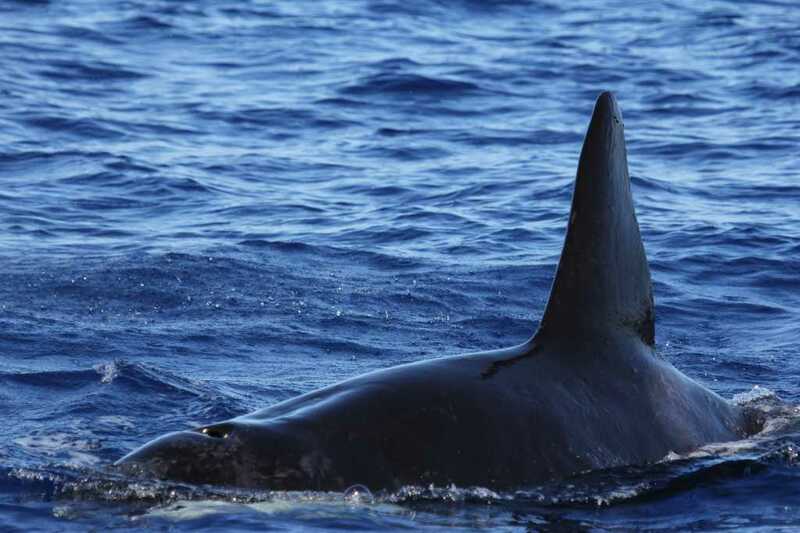 We’ve also seen several species of dolphin, sperm whales and sei whales. 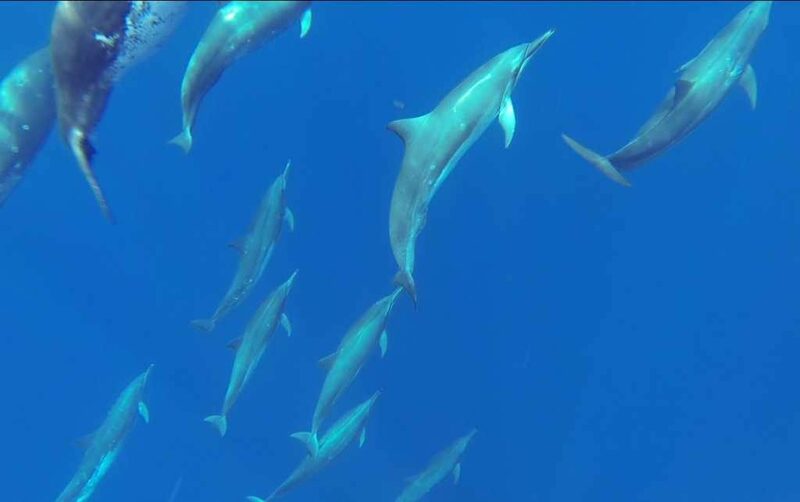 We are recording all whale and dolphins sightings and for most of the trip conducted an acoustic survey too. See our blog on the Marine Conservation website. We have had the full range of weather, from 56 knot gales to days becalmed in the doldrums and from cold at the beginning to extremely hot and now cool again as we enter the Azores high. Beautiful sunsets lead to starry skies and we embrace a routine of cooking, observations, eating, sleeping and being on watch. Sometimes days go by with nothing and then spotted dolphis will leap next to the boat and bowride for an hour. When I started as a whale biologist, I never imagined that I would be helping to study plastics but this what we are also now doing. We trawl for fragments in the open ocean and record rubbish sightings. 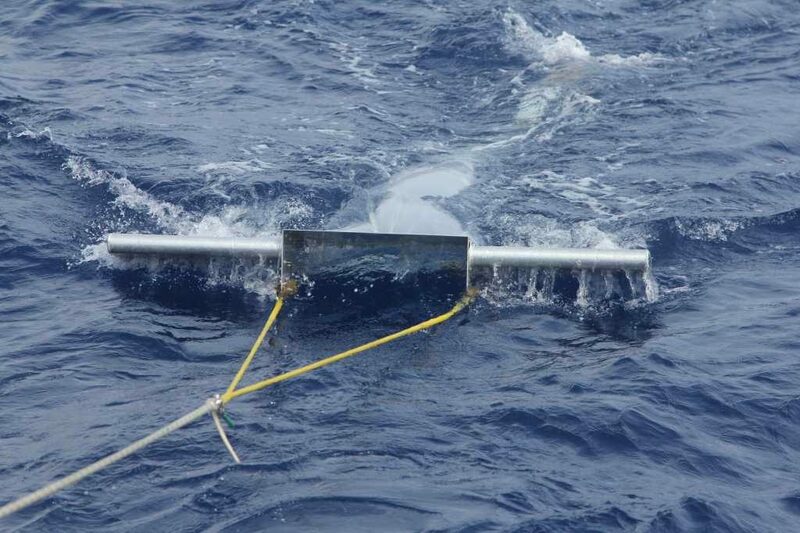 Each day when the weather is calm enough we deploy our manta trawl as part of a project in collaboration with 5 Gyres. Even far south in the middle of the Atlantic we collected plastic fragments. As we head north towards Europe, plastic pollution is increasing. We are hundreds of miles from land but still we see discarded plastic products. The effects of plastic of all sizes on marine life are known to be increasing. In the last decade fatal ingestions of marine debris have increased by 40%. Several whales have now been autopsied with their guts full of plastic and David Attenborough has drawn the attention of the world to this problem in Blue Planet 2. The only conclusion is that we urgently need to reduce the consumption of plastics at source. As Friends of the Earth said long ago, “Think globally, act locally”. So, anything that Sustainable Redland can do to reduce our plastics consumption locally is really important. 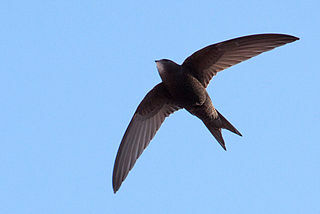 Swifts migrate 6000 miles from sub-Saharan Africa to breed in Britain. It was only in 1994, when the Breeding Birds Survey was initiated, that their numbers began to be monitored, and so there are no accurate records of the numbers breeding in Britain before then. However, since 1994, monitoring has indicated an alarming 38% decline in swift numbers, which are now estimated at around 87,000 pairs. As a result, the species has been placed on the Birds of Conservation Concern’s Amber list, denoting a decline in numbers or a contraction of the species’ range. While several factors are likely to contribute to this sharp decline, lost of nesting sites is certainly one. Swifts, which are sociable, and prefer to nest in colonies, have evolved with humans to take advantage of our houses for their nesting sites. They like to nest high up in the roof space under the eaves of old houses and churches. However, modern building design and the refurbishment of old houses has resulted in the loss of nesting sites as access to roof spaces has been sealed off. In Bristol, a recent survey by Bristol Swift Conservation Group has indicated just 5 small colonies of 2-3 pairs in the Redland area. Our house is one of those, with a small colony of 2 pairs. It is one of the highlights of our year to welcome “our” swifts back in early May, to be able to watch at very close quarters as they enter and leave their nests and to hear their calls (so-called ‘screaming parties’) as pairs within and outside the nest communicate with each other. The skies seem empty when the swifts depart at the end of July. We can increase the number of known colonies in Redland, by retrofitting swift nesting boxes under the eaves of our houses. Swift boxes can be purchased, or alternatively, you can make your own. Would you like to make a swift nesting box for your house? Mark Glanville of Bristol Swifts and Matt Collis of Avon Wildlife Trust (AWT), both members of the Bristol Swift Conservation Group, recently teamed up and in November held the first of what is hoped to be a series of swift nesting box workshops. 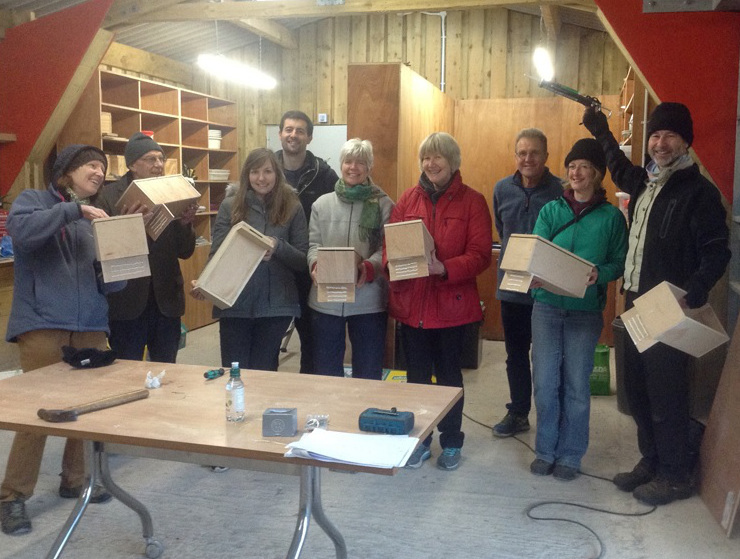 Eight participants working in pairs, including my husband and me, made a nest box each, using materials and tools provided by Mark and Matt. The design of the box has been worked on and incrementally improved over many years by Mark, who, with his wife Jane, has what must be Bristol’s largest colony under the eaves of their house in Stoke Bishop. In 2017, they had 14 pairs, which fledged a record number of 20 chicks. Redland Green Community Group would like to collaborate with Bristol Swift Conservation Group and hold a workshop for residents of Redland and surrounding suburbs. 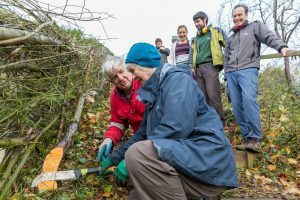 The workshop would be held on a weekend day before spring, probably at the AWT’s Bennett’s Patch and White’s Paddock reserve on the Bristol Portway. The cost of the workshop is currently £15 per participant, to cover the cost of materials. Mark and Matt donate their time. Between 6 and 10 people, working in pairs, is an ideal number per workshop. The AWT currently has funding to assist in putting the boxes up. If you would like to take part in a workshop, please send an email to Julie Parker at redlandgreen.comgp@gmail.com to express your interest, letting me know how many people might take part. Workshops are suitable for anyone aged 16 or over. We will then arrange a date (or dates) for the next workshop(s). Several years ago, Sustainable Redland supporters set up a borrowing service for people holding street parties. The street party kit includes road signs, bollards, bunting and other useful items that can be used to close off, decorate and hold an event in a residential street. The kit was bought using one of the first grants awarded by our local Bishopston, Cotham and Redland Neighbourhood Partnership. The service has been very well used, with around 20 street events each year in our area making use of the kit. You can find out more at the Bristol Open Streets website. For the past two years, the kit has been hosted by Bristol Children’s Scrapstore. However, they are not able to offer to do so after this season. So we are looking for a new home for the kit. If you, or someone you know, has a small storage space (about 1m x 2m) and would like to support local events, please get in touch. Looking after the kit would also involve liaising with those holding events to collect and return what they needed for their event, at mutually convenient times. Most events are held in June or September, so it needn’t interfere with summer holidays. It is also a role that in the past has been shared amongst two or more people. To talk through what might be involved, with no obligation, please contact us. 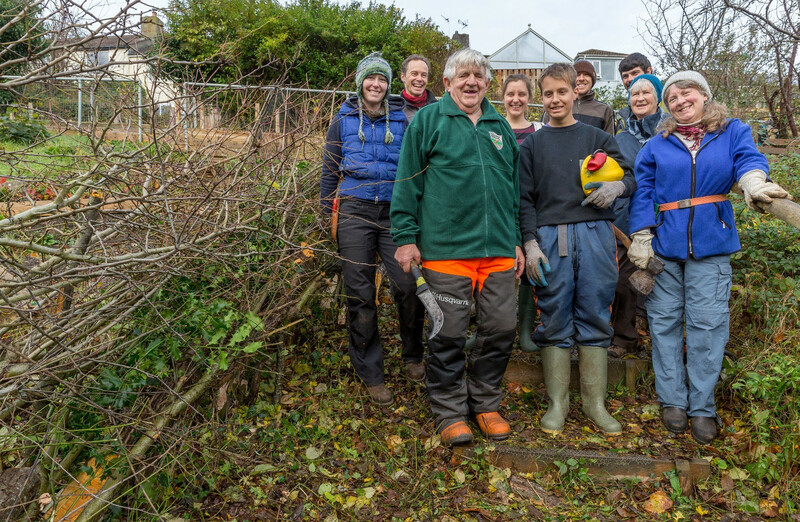 Metford Road Community Orchard is a small organic orchard based on permaculture principles. 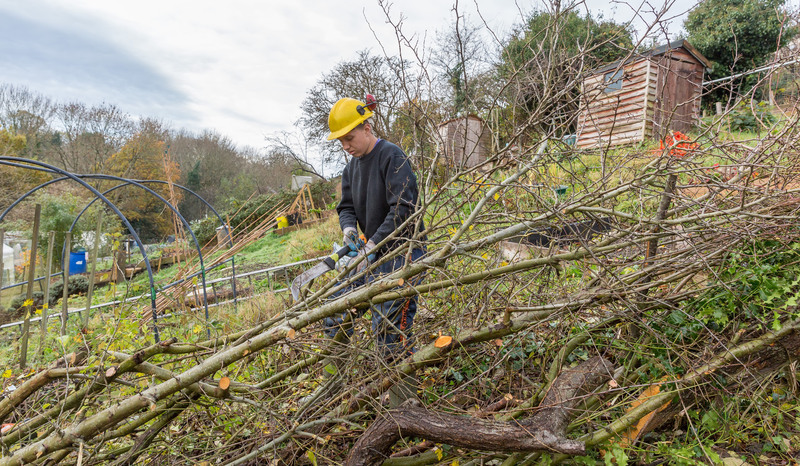 It will be open on Saturday 17th June, 12noon – 5pm, as part of North Bristol Get Growing Summer Open Days. With a stream at the bottom and numerous ponds, the orchard is teeming with wildlife in the summer. It has a compost loo and custom built gazebo-style oak shelter. There will be guided tours, tea and biscuits/cakes, produce and plant sales. Access is through the gate by no 37 Metford Road, Redland BS6 7LA. Turn left at allotments to reach the orchard. As the site is on a steep slope sturdy shoes are required.